Pinching tops of plant during first ten days of flower is possible too – she can take it. 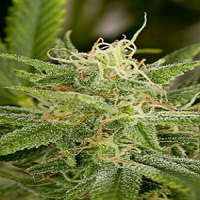 Kripplicious Feminized Cannabis Seeds by Dr Krippling Seeds: This is so sweet. AKA Strawberry Banana Punch. 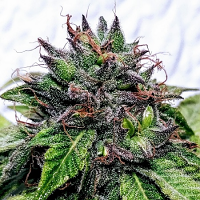 Easy to grow, sweet, fruity and heavy yielding strain – thanks to its marvelous parentage from a famous Critical Bilbo strain crossed with wonderful Bubblegum genetics, makes mind blowing, super sticky, scrumptious flowers. It took a couple of years to get this right desired mix right. It may stretch during vegetative state, but this plant responds well having up to a third of the top chopped off a few days before switching to flower. Pinching tops of plant during first ten days of flower is possible too – she can take it. Then one will have simply have to wait for the luscious, lovely, lip smacking strawberry + banana nuggets.